I am launching a new category on A Girl with Geography: #travelhacks. Travelhacks are the most useful travel tips I got before taking off to my new adventure – or the things I wish I knew before I went. All gathered in one place, a shortcut to your greater travel experience. I will start with Bali, a place I put on my travel map a few weeks ago. I loved my time in Bali, and largely thanks to the great travel advice I got from all of you before going (and while being) there. Fit in between. The second best travel advice I got on Bali was to go there mid April: just after the rain season ends and the main tourist season starts. From Google maps, Bali seems like a pretty manageable place distance-wise, with some 15-50 km between the key sights. Only that it might take you more than 1h to make these 15 km, and that’s outside of the main tourist wave! If you don’t want to spend much of your time stuck in traffic, come before everyone else does. The prices are better, too. Which leads me to the next point. Don’t even think of driving there on your own, especially with a car. That was the best advice I have got, and I am forever grateful for it. Not only there are traffic jams that can only be cut through some 1 lane path through the rice fields for both ways traffic, not only the driving is on the left side of the road, not only the cars compete with scooters which all the foreigners think they can ride. Not only the roads are narrow and live by its own rules. They are often closed because of the religious ceremonies which happens all over the country in its numerous temples, leaving you the rice field road or the mountain road as an alternative option. So really, don’t. Instead, take a driver for as much as 45 EUR/ day, tolls, car fuel and pathways knowledge included. Bluebird is the only legal taxi company in Bali. So if you need to take a cab (for example, when you are going to a restaurant in a city you are staying), ask for this one. (Do the same to come back from that restaurant.) Everything else might charge you wildly. There is a Bluebird desk in Denpasar International Airport, so take it from there. Uber works, too, but is not accessible in all the areas: for example, in Jimbaran, the beach with the most stunning sunsets, the closest you can get with an Uber is a 10 min walk from the beach. But then, you can’t get there with the Bluebird taxi, too. The only way to get out of Jimbaran is its own hijack taxi – so negotiate. And be tough. P.S. : Uber is charging 26,000 IDR, or something around 3,5 EUR for 1 hour of waiting: an option you might want to use. You don’t need a visa for a stay less than 30 days. Even if the official websites, slightly outdated, say that you do. I have diligently passed by the Visa counter on arrival to learn that. Just go to the Immigration. Chose location to chose experience. There are two main resort areas in Bali: Seminyak and Nusa Dua, both with the beaches. Most of the familiar hotel names are concentrated there, with the exception of the Four Seasons, stashed on the slopes with boutique hotels and small villas, away from the sea. Unless you surf, sea is not really the reason to come to Bali and pools are usually a better choice (never thought I would say that). However, Nusa Dua and Seminyak provide for spacious green areas with increased security (and fountains on every corner), which cater to tourists only. Arguably, you won’t experience the real Bali (think little cozy streets with street side cafes, bars filled with music and locals, massage salon on every corner) there, but you will also be free from everything that comes with it (think traffic jams, compromised air conditioning and no pools/ small pools). Your call. For fruit juices, go for local and ask for no sugar. Apparently, Bali people think that life is better with some sugar in it (a lot of sugar in it, actually), and generously add it to the tea, coffee and fruit juices. (Sort of how the Americans feel about ice.) Ask to free your juice from it to feel the flavour, and go for the local fruits: mangos (depends on the season), coconut, melon, watermelon, papaya (if you like papaya, of course). Orange is not a local fruit, and orange juice might well be not what you have expected. Fruit smoothies are great, too. A personal favourite is mango. Stock on wine. In general, alcohol is a doubtful substance in Bali, as everything foreign to locals and catered mostly to tourists is. Cocktails can be pure ethyl and wine… At best, wine will be very expensive – think 4-5 times the price you would pay in Italy or France (for Italian or French wine, if you are lucky enough to find it). Australian wine is usually ok, even though even Australian wine starts at around 30 EUR/ bottle (in a supermarket that is). We found a decent local white wine for 20 EUR (from the winery shop in Bali Collection, a shopping complex in Nusa Dua). You get the idea. Pet the Luwak. Luwak wild cat, the main source of the expensive coffee in Bali (and probably the most expensive coffee in the world because of the way it is made, more on that later) is pictured as a savage animal at coffee plantations where it is kept in a cage (though the owners promise to rotate Luwaks and keep each animal locked for no longer than 3 months). However, the sunset temples, especially Tanah Lot, offer you a different picture: fat and happy Luwaks the pets, sleeping all over the small cafes and letting you touch their coffee smelling fur. Still go to the plantation for the coffee and tea tasting sessions, they are great, reasonably priced and often offer fantastic views. But to cuddle the Luwak, look elsewhere. And don’t trust the image of a fierce animal. Believe in sun burn. Bali sun really burns. Even before the main tourist season. I am generally very sun resistant, tan quickly and never burn, but a few hours on the first day (with 30-50 SPF) got me waving good bye to my skin a few days later. So bring your strongest creams (a small bottle of Nivea would cost you 25 EUR from a local store) and apply generously. Do mental accounting. As in the U.S., the prices you see in Bali are never final and are subject to a local tax and service fees, which, unlike in the U.S., vary wildly (from 11 to 30%) even in the same geo location. So plan for that when spending (or planning what to spend on) – and read the fine print. These are my travelhacks to Bali (some of them are really hard won!). 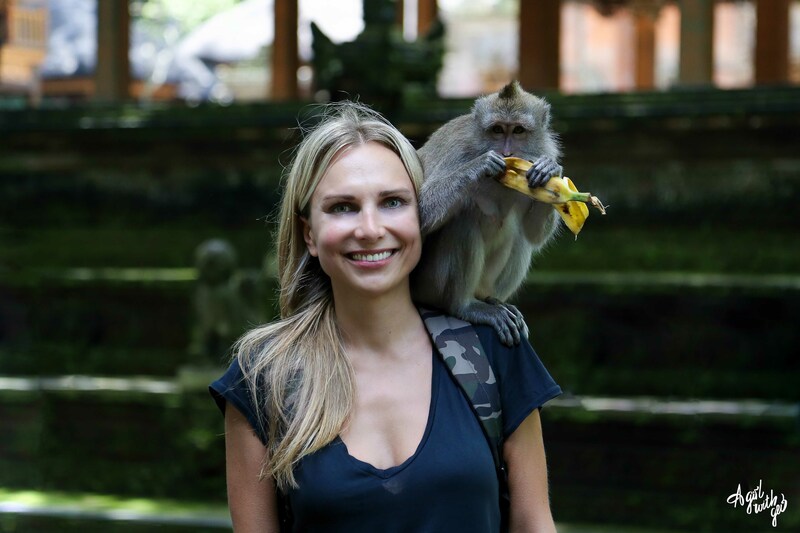 In my next post, I will share my travel route and places to see in Bali. What are your travelhacks? It’s very useful post for me becase bali is the one of the place where I dream to go… (i hope i ll not be too old for this when I finally will be ready to visit it)… Is it was your first visit there? How did you get there? (i mean where did you make une escale)… I wait your post with description and photos also!!! Very useful, Natasha! Love your new category! not nearly as useful as your phototips Marcus! Can you make a post on portraits (blush)? I’m sure these are the tips that I can use.